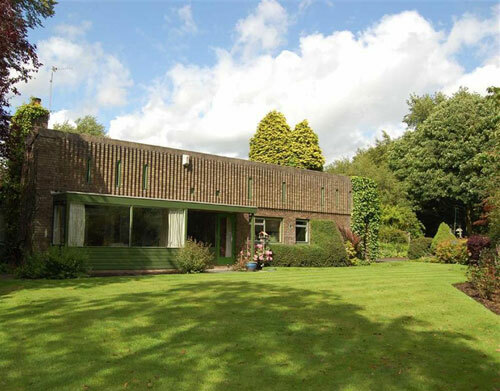 Big thanks to James Lipman for flagging up this period gem that’s new to the market – the 1960s-designed three-bedroomed bungalow in Fulwood, Preston, Lancashire. 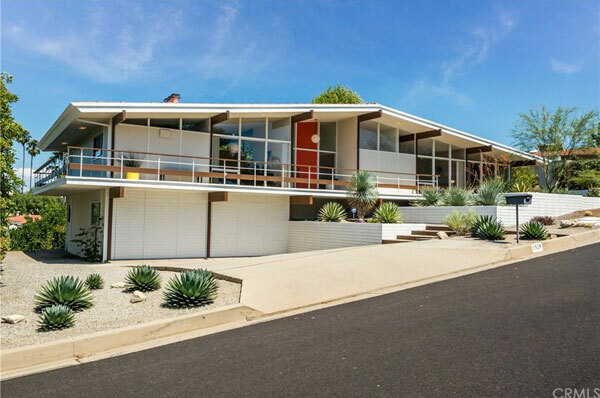 In fact, not only was in built in the ’60s, the house is still trapped in that decade – or at least, not long after. 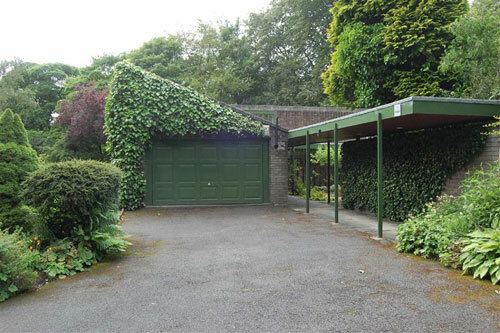 Tucked away in a ‘wooded plot’ in Fulwood, it was the work of local architects in the late 1960s, who obviously loved a bit of midcentury-inspired design. 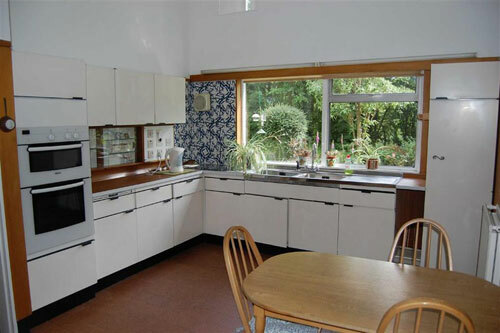 Thankfully, the owners since (we would guess ‘owner’) liked it too, so much of the original design is intact. 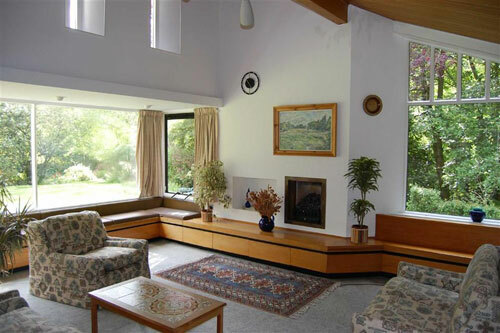 That includes the wooden ceiling and fittings exposed brickwork, internal doors, light fittings and best of all, the rather stark modernist exterior. 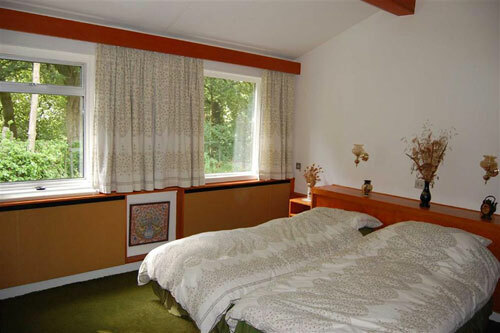 Some things you might want to do without (the tent-like ceiling in one room), but not much, I’d wager. 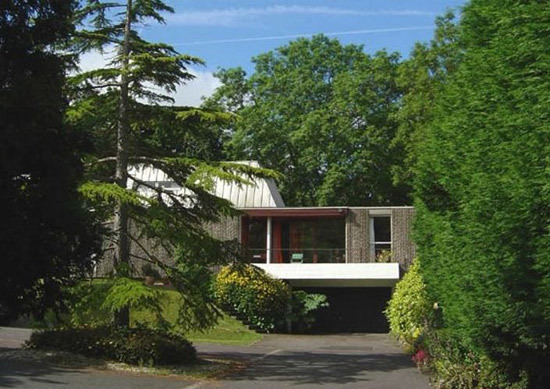 An award-winning design ‘back in the day’, the house is also deceptively spacious and on a good-sized plot, complete with double garage and driveway, it offers up an L-shaped entrance hall, cloakroom, large lounge (with angled ceiling and picture windows), a separate dining room, large kitchen, ‘snug’, three bedrooms, a family bathroom and a shower room. 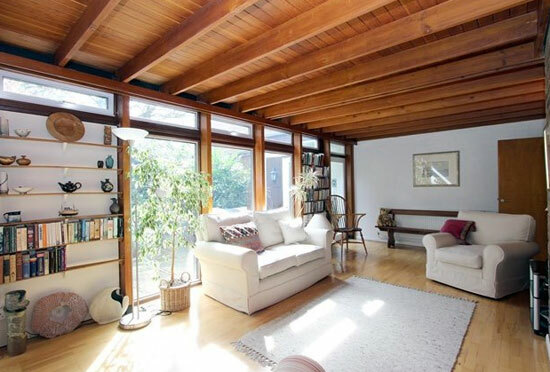 Check out the listing for more images of this eye-catching property. 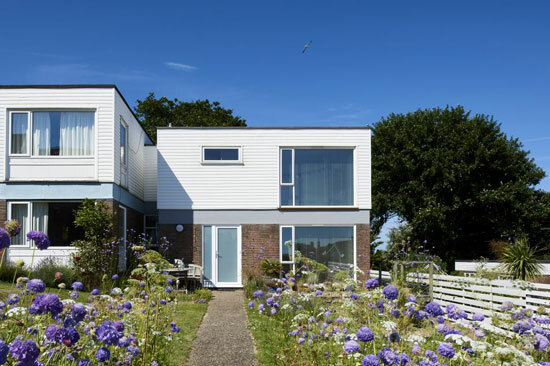 It’s on the market for £350,000 right now. Let’s hope someone with an eye for its period charm gets it, not a developer looking at it for the land. 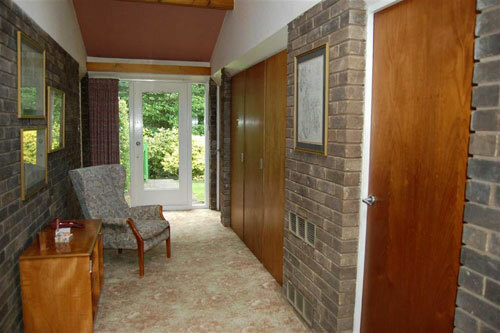 The agent is Garside Waddingham in Preston if you want a viewing.